Since the year 2000 and in particular from 2012 the authorities of the Priestly Society of Saint Pius X have taken the opposite direction of aligning themselves with modernist Rome. The Doctrinal Declaration of the 15th April 2012, followed by the exclusion of a bishop and numerous priests and confirmed by the condemnation of the book, “Monseigneur Lefebvre, Our Relations with Rome”, all that shows the pertinacity in this direction which leads to death. Under the protection of Our Lady Guardian of the Faith, we intend to follow operation survival begun by Abp. Lefebvre. In consequence, in these tragic circumstances in which we find ourselves, we put our priesthood at the disposal of all those who want to remain faithful in the combat for the Faith. This is why from now on, we are committed to respond to the demands which will be made on us, to sustain your families in their educational duties, to offer the priestly formation to young men who desire it, to safeguard the Mass, the sacraments and the doctrinal formation, everywhere we are required to do so. As for you, we exhort you to be zealous apostles for the reign of Christ the King and Mary our Queen. Long Live Christ our King! Our Lady Guardian of the Faith, protect us! Father Thomas Aquinas followed the advice of Archbishop Lefebvre. 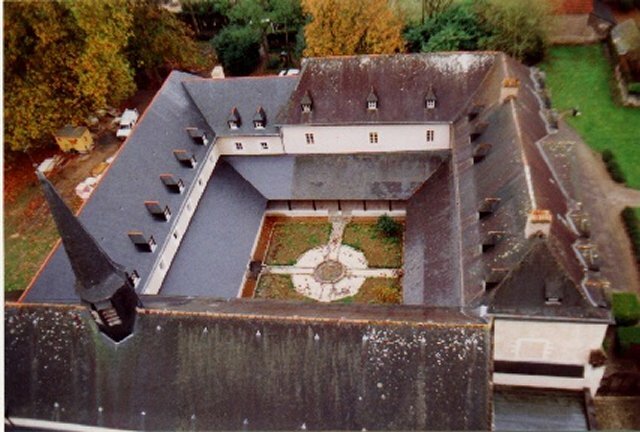 On the 24th of August 1988, he drew up a solemn declaration in which he refused the agreement established between the Sacred Congregation for the Doctrine of the Faith, through the intermediaries of Cardinals Ratzinger and Mayer, and Father Gerard Calvet, Prior of the Monastery of Saint Madeleine of Le Barroux. The agreement indicates our insertion into and our practical engagement with the “Conciliar Church”. The agreement foresees our full reconciliation with the Apostolic See according to the terms of the Motu Propio “Ecclesia Dei”, a document which proclaimed the excommunication of Archbishop Marcel Lefebvre. Now we never separated ourselves from the Apostolic See, and we will continue to profess a perfect union with the Chair of Peter. We separate ourselves however from liberal and Modernist Rome which organises the Assisi meeting, and which praises Luther. With this Rome we want no reconciliation. The next day, the 25th of August, Father Thomas Aquinas announced his decision to the monks and on the 26th sent the declaration to Dom Gerard and Cardinal Ratzinger. The visit of Dom Gerard to the Monastery of the Holy Cross on the 1st and 2nd of September changed nothing of the decision and determination of Father Thomas Aquinas. After a few hours only, which were very sorrowful, the prior of Le Barroux left the monastery of Brazil, with curses on his lips. « After the death of Bishop de Castro Mayer, an urgent question arose for the priests of Campos: who should replace Bishop de Castro Mayer? … Bishop de Castro Mayer, before dying, had indicated two names: Father Emmanuel Possidente and Father Licinio Rangel. Father Rifan was not one of the preferences of Bishop De Castro Mayer. This is interesting to note. Father Rangel was chosen, Father Possidente having refused, even though he was the most appropriate for this job. 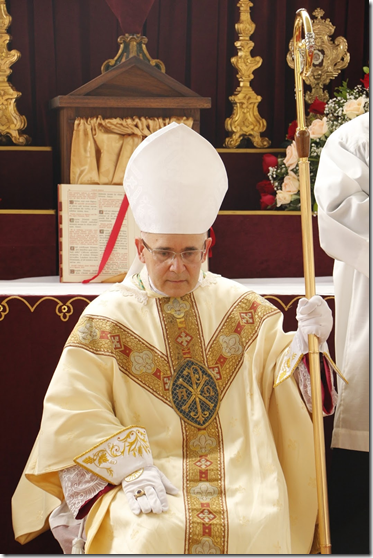 The consecration of Bishop Rangel took place in the town of Sao Fidelis, on the 28th of July 1991. When the SSPX made contact with Rome after the Jubilee of 2000 and invited Campos to take part, it was Father Rifan who was chosen to represent Campos at these meetings. The drama was about to start. When the conditions put down by Rome appeared unacceptable to the SSPX, Campos, however preferred not to go backwards. What is the responsibility of the parties in this affair? It is difficult to establish. What is certain, is that the man for the job, although obeying the orders of Bishop Rangel, was Father Rifan, the only spokesman present at Rome during the negotiations. Father Rifan, we should note, for a certain time had contacts more and more frequent with the modernists, and was in the habit of obtaining permission to say the Mass of Saint Pius V with the adversary. Although it was not necessarily an evil, it was, I believe, a bait which contributed to the fall of Father Rifan and of all the diocese. Was it the simple contact with men imbued with modernism and liberalism which was the starting point for this fall? The question is worth asking. 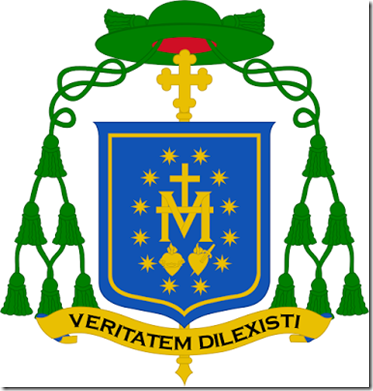 Bishop Rangel signed on the 18th of January 2002, an agreement with Rome in the cathedral of the town of Campos. … It was the death warrant for Tradition in Campos. Father Rifan said : “It is not an agreement ; it is a recognition”. He let it be understood by this that Rome recognized the merits of Tradition. The faithful were disoriented and believed Father Rifan. There was a cry of victory. Bishop Rangel, struck by cancer, did not take long in leaving this life, and Father Rifan succeeded him as the head of the Apostolic Administration born out of the agreements with Rome. Consecrated by Cardinal Hoyos, Bishop Rifan would quickly show himself as an indulterer par excellence. Having become the friend of our enemies, he did the tour of the dioceses almost everywhere, embracing those who formerly he attacked with an energy which is not easily forgotten. Having switched camps, he did not cease to give proofs of his giving himself to Rome. As Abel Bonnard said “An indulterer is never enough of an indulterer”. Authority of Vatican II, legitimacy of the New Mass, obligation of submitting to the “Living Magisterium” of the liberal Popes, condemnation of Archbishop Lefebvre ; all of this Bishop Rifan was obliged to approve of and proclaim. He did so with an unfailing and ever growing assurance. One could say that he did so with more zeal than most progressives… Campos had now become a muted dog. Rome, which knew well that it was going to end like this, had from now on nothing more to fear from these priests, who however had been formed in the school of one of the greatest bishops of the 20th century. How can we explain this? Without wanting to penetrate the depths of hearts and to go beyond what the facts tell us, I think that it is certain that contact with the authorities who do not profess the fullness of the Faith can only but lead little by little those who submit to them to share their ideas and way of doing things. Archbishop Lefebvre had sufficiently warned Dom Gerard about this. With Rome you do not do what you want, but what Rome wants. Dom Gerard did not take this into account; Bishop Rifan even less so. « The same causes produces the same effects. If Benedict XVI beatifies him who excommunicated Archbishop Lefebvre and Bishop de Castro de Mayer, if he celebrates the 25th anniversary of the Assisi meeting, if he defends the Second Vatican Council (by saying that it is in line with Church Tradition), then the evils which we have seen during the pontificate of John-Paul II will happen again with Benedict XVI. As long as liberal Rome dominates Eternal Rome, as long as the greatest catastrophe of the history of the Church since her foundation, Vatican II, continues to be the privileged yard stick of the bishops, the cardinals and the Holy Father, there won’t be a solution. *Objection: “But Rome is in the process of changing (its attitudes, its’ thinking, etc. )”, say the defenders of agreements. — Answer : How has Rome changed? * Objection: “Rome has allowed the Mass of all time and has lifted the excommunications”, respond the “accordists”. — Answer : But what does it serve to liberate the Mass of all time if Rome still permits the existence of the new one? We read in the Old Testament that Abraham chased away the slave Agar and his son Ismael so that Isaac would not remain with the son of the slave… The new Mass is Agar. She has no rights. She must be suppressed. As for the lifting of the excommunications, what does that serve if we beatify him who meted them out? While there was a certain benefit from these two acts, the liberation of the Mass (which was never banned) and the lifting of the excommunications (which were never valid), the spiritual benefit of each of these was compromised by the contradictory context in which they were brought about. Either John-Paul II was right or Archbishop Lefebvre was. The two cannot be right at the same time. That is pure modernism. As for the Mass, it is the same; If we permit the two Masses, the result is contradiction. It is the principle of dissolution. A principle which corrupts the Catholic Faith. * What is then is the solution? — Answer: The conversion of the Pope, the Roman Curia and the bishops, in a word, the conversion of the head. * But how to obtain it? When Benedict XVI issued his Motu Proprio on the “extraordinary rite”, Father Thomas Aquinas refused to sing the Te Deum at Sunday Mass, as asked by Bishop Fellay to greet the papal document. Corçao 2 kept repeating that the false notion of charity and unity wreaked havoc in the Catholic resistance. When charity is separated from the truth, charity ceases to be charity. Many, even among his friends, accused him of lacking charity because of his articles. But the first charity is to tell the truth. Corçao was among those who were right, as the facts have shown. The same accusation was made against Archbishop Lefebvre. As for unity, Corcao said with humor that experience had taught him that contrary to the popular saying -‘unity is strength’- he found that unity is often weakness. Why ? Because unity separated from the truth, unity based on concessions, unity to the detriment of faith, is a weakness that “makes the strong weak.” Is it not precisely what happened at Vatican II? For the sake of unity with Paul VI, many bishops ended up signing unacceptable documents. That sort of unity does not make us strong, but quite the contrary. Let them say what they want. There is a problem, and it is a problem of faith and it is serious. As for us, we have taken our stand: we support the defenders of the faith as did Archbishop Lefebvre, Bishop Antonio de Castro Mayer, St. Pius X and the whole tradition of the Church. If we have to suffer because of it, we will suffer, as our Lord warned us: “Whoever wants to live a godly life in Christ Jesus will be persecuted” (2 Tim 3, 12). On 7 January 2014, Father Thomas Aquinas co-signed an “appeal to the faithful4“, a paper written by forty priests, members or former members of the SSPX, and several other priests friendly to it. The authors of the appeal wanted to bear witness to their strong and true commitment to the principles that guided Archbishop Lefebvre in the fight for the faith. « But what does Bishop Fellay want? Is it fair to compare this to Dom Gerard? Bishop Fellay wants a gradual rapprochement with Rome. Unlike Dom Gerard’s, the Society’s advance towards Rome is much slower, but the spirit that presides over both moves is the same. Father Pflüger said that if the situation in Rome is abnormal, then ours, that of Tradition, is too : a canonical regularization is therefore necessary. It was almost completed in 2012, but Providence prevented it […] For Bishop Fellay the way forward seems clear: if Rome gives everything and asks for nothing, why refuse a regularization? This ignores the consequences of placing oneself under the authority of the modernists who occupy Rome today. It is to make the mistake of Dom Gerard again, of Campos and of so many others. The above pages have shown above all the fighting man, the valiant defender of the Faith, the intrepid sentry who watches day and night so that the citadel is not besieged, the worthy heir and spiritual son of Archbishop Lefebvre and Bishop de Castro Mayer. We have not mentioned the faithful disciple of St. Benedict, the contemplative monk, the director of souls, which are the secret garden of God. But without the man of prayer, we know that the fighting man cannot exist. “And the Lord opened the servant’s eyes, and he saw; and behold, the mountain was full of horses and chariots of fire all around Elisha” (Kings IV, VI, 16). On the feast day of St. Thomas Aquinas, March 7, 2016. Here is the « Appeal to the faithful » co-signed by Fr Thomas Aquinas with 40 priests and religious, year 2014. Miguel Ferreira da Costa (the future Father Thomas Aquinas) was born in Rio de Janeiro, Brazil in 1954. He subsequently lived in Volta Redonda, where his father worked in an important steel factory, until 1962, when his family came back to Rio. After his instruction at St. Benedict’s College in Rio de Janeiro, he started his studies in law. «”Tell you where to go?”, answered Gustavo Corção, “I can’t. What I can tell you is where not to go. You’ll have a hard time finding where they don’t teach fooly things […]” It’s then that Mrs Pierotti, Corção’s secretary, spoke to me about Archbishop Lefebvre and Ecône: «If you were my son, that’s where I would send you». Miguel Ferreira da Costa arrived in France in May 1974, in the little Provencal monastery of Bédoin, where Dom Gérard Calvet was following the traditional Benedictine monastic life since 1971. On October 2, he received the religious habit along with the religious name of Thomas Aquinas, and started his novitiate. On the occasion of his vows in 1976, Gustavo Corção came to the monastery to attend to the ceremony. At that time Dom Gérard and the monks were united in heart and thought with Archbishop Lefebvre who gave the Holy Orders to the monks of the monastery. 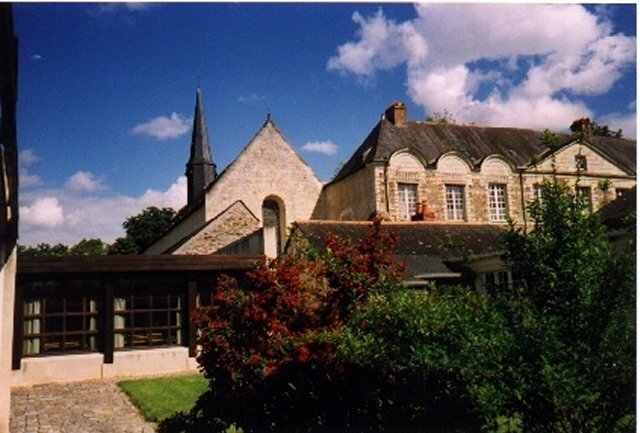 In 1980, after his ordination in Ecône, Father Thomas Aquinas and the monks moved to the Barroux, leaving with sorrow, Bédoin, which had become too small. “There was already something very disturbing which explains, in my opinion, the drift which our community would have come to know some years later. […] The formation given in Bédoin, when I arrived and until my ordination, was pretty informal. Dom Gérard, it’s true, invited a few devoted and learned religious who came to give us some courses. “Taking advantage of the presence of Archbishop Lefebvre, I could see him often. His paternal goodness made his conversations easy. […] On March 12, 1985, Archbishop Lefebvre spoke to me about the question of an agreement with Rome. He went to see Cardinal Ratzinger and came back dazzled by him. ²The Cardinal, he said, is someone with whom one can work. Archbishop Lefebvre is too withdrawn.” And he imitated the attitude of the Archbishop as someone sulking in his corner. “Moreover it is not necessary that it be Archbishop Lefebvre who ordains our priests. Another bishop can do it just as well, provided that it is with the old rite”. We had cold shivers down our backs when we heard all that. (…) At the end of 1986, I set off for Brazil with Father Joseph Vannier to look at a plot of land with a view to a new foundation. I was rather relieved to be leaving Le Barroux where the atmosphere was becoming more and more oppressive. You could feel that the monastery was on a slippery slope. “In this way Dom Gérard destroyed his work. This work, despite its deficiencies, was for all that a beautiful work . The offices were said there with much care, the monastic virtues were held in honour there and we had very good vocations which came to us from families who were truly Catholic and traditional. Dom Gérard had wanted to form a traditional monastery but he lacked an in-depth understanding of the present crisis. Dom Gérard saw the necessity of keeping the Mass of all-time; of keeping the monastic observances but he did not see with sufficient clarity the dangers of modernism and liberalism. The most profound aspect of the present crisis eluded him. All that allows us to measure more accurately the value of Archbishop Lefebvre and his work. It is the Archbishop who saw correctly, it is he who discerned the evil, it is he who understood all the gravity of the situation. The Archbishop had a vision of faith, a vision which was theological in the most precise sense of the word. This was lacking in Dom Gérard who, like Jean Madiran, saw the defection of the diocesan bishops rather than that of the conciliar Popes, alas. […] When the news of the agreements reached us, we were already expecting it. At first we thought of leaving Santa Cruz and leaving everything for Dom Gérard and those who wanted to follow him2. A letter from Archbishop Lefebvre made us change our minds and we kept Santa Cruz in the bosom of Tradition. […] Dom Gérard, when he came to Brazil, had to leave again without obtaining what he was hoping for. After these painful events we had no more contact with him. On the other hand Archbishop Lefebvre became more and more what he is for all faithful Catholics, i.e. the faithful successor of the apostles who gave us the doctrine and the sacraments of Our Lord Jesus Christ for the salvation of our souls. To him we owe our eternal gratitude. “ How much I regretted that you had left before the events at Le Barroux3. It would have been easier to consider the situation provoked by Dom Gérard’s disastrous decision. […] Dom Gérard, in his declaration, reports what is given to him and accepts putting himself under obedience to modernist Rome, which remains fundamentally anti-traditional, which was the cause of my estrangement. At the same time he would like to keep the friendship and support of traditionalists, which is inconceivable. He accuses us of “ resistance-ism”. Yet I warned him. But his decision was taken a long time ago and he no longer wanted to listen to reason. From now on the consequences are inescapable. We will have no further links with Le Barroux and we will warn all our faithful to no longer support a work which is now in the hands of our enemies, the enemies of Our Lord and His universal Reign.